The Bull McCabe is alive and well and living in Ballyduff. 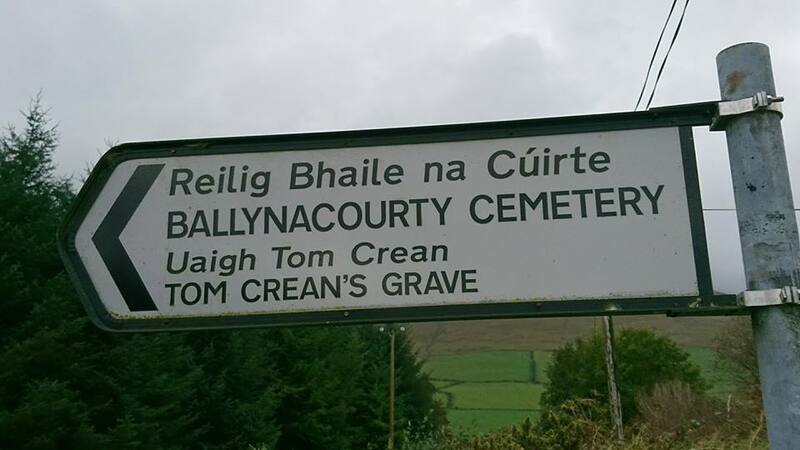 On Sat 14/10 the club outing was to Ballyduff near Camp. This was a much anticipated bus trip and we left town at 8.00 AM. We then travelled to Camp where we changed into our walking gear and pick up some members who had travelled by car. The bus then took us to the start at a point where the Glennahoo river crosses the road. 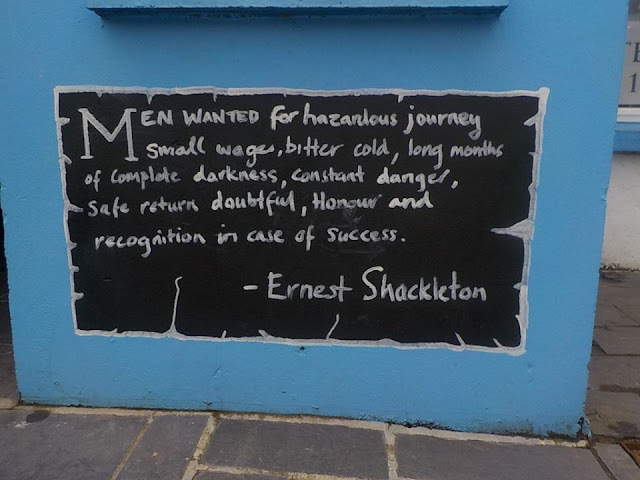 This is at a dangerous corner so we quickly alighted from the bus. Here a tricky situation was averted by some quick thinking and some very fast walking. Having no plan B we had to proceed with plan A. Having put some light between us and the problem we continued into the Macha na Bo (Plain of the cows) valley. 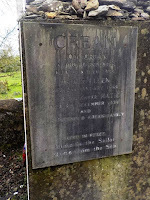 With the glenagoo river to our right and Beenatoor 645 mtrs towering above us to our left and Gob an Iolair 527 to our right we continued along a fairly good track.Along the way is a plaque to the memory of a person who died in a fall on the mountain in 2007 a stark reminder that hill walking can be dangerous and care must be excercised at all times. At the head of the valley can be seen the ruins of old farmsteads which were inhabited by the O Donnells and Dineens in the19th Century. Here we turned left uphill along a narrow path overlooking a fast flowing stream with mini waterfalls. 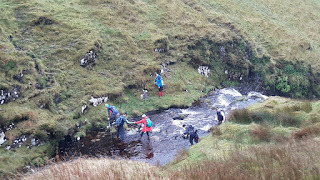 We then descended to our right to cross this stream at a place called the Wolf’s step, where the last wolf in Ireland was reputed to have been slain in 1710. However it was decided by who ????? to cross at a more challenging point. After a steep scramble we regained the original path. We then went diagonally uphill to a boggy plateau from where there were fantastic views down over Macha na Bo valley with the Glennahoo river snaking it’s way to Brandon Bay. We made our way across some very boggy ground and then picked up a path that took us to the top of the next valley. Below us we caught a glimpse of Anascaul lake in the distance framed by Cnoc Mhaoilionain to the left and Reamore to the right. Down we went and crossed the bridge over the Garryvagh river then keeping it to our left we followed a well defined track to the lake. There are some great waterfalls along the way. Past the lake we continued until we came to the public road and on then to Aunascaul. 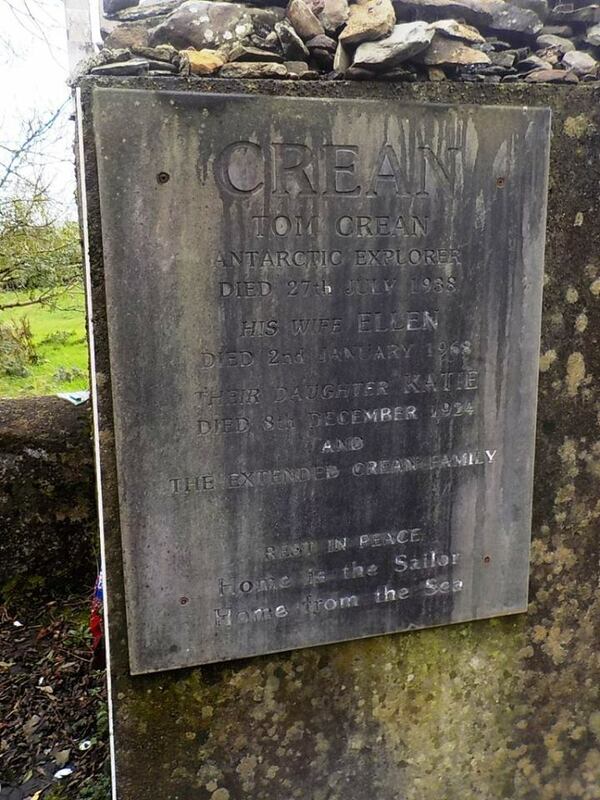 On the way we were to pass not too far from Tom Creans grave so we made a detour to pay homage to that great man. We finally arrived at Aunascaul where we were to be picked up by the bus. 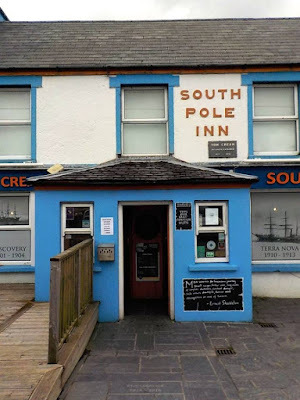 We were ahead of schedule so we took the opportunity to visit The South Pole Inn for some welcome refreshments. 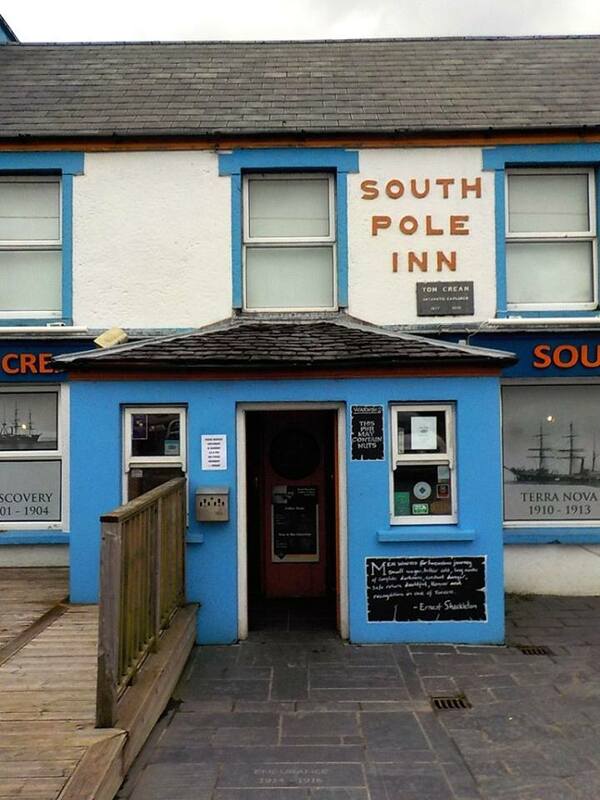 This pub is well worth a visit it’s like a museum with lots of photos etc. We then boarded the bus to the Junction Bar in Camp where food had been booked. The walk was approx 14 Kim’s. Well worth doing and defiantly one for the diary. A weary but happy group left the bus in Kanturk. PS. There is a walking festival in Anascaul on 28 to 31 of October.